Ever since Pokemon Go made its debut in 2016 and went on to become one of the most popular Augmented Reality apps to have been downloaded, there has been a sharp rise in how AR is being used in various areas. The global Augmented and Virtual Reality market is projected to reach a market size of 209.2 billion US dollars by the year 2022. Adding on to the list of early adopters of AR, 2017 was the year in which the tech giants entered this arena. Apple’s ARKit and Google’s ARCore helped in creating powerful frameworks for AR apps for developers around the world. The scope of using Augmented Reality is numerous with prevailing examples in fields such as gaming, travel, marketing, movies, education and more. In the educational setting, AR brings about two of the most important traits we possess as humans – imagination and curiosity. These qualities are, more often than not, encouraged in a traditional teaching setup, which includes the use of textbooks and standardized tests. Using AR as a tool to complement the existing school curriculum can help in encouraging curiosity and imagination among students. The edtech world has been making great progress in making apps that can complement the existing standard curriculum in schools. Apps that superimpose text, graphics, video, and audio into the student’s real-time environment are already in use in schools. Exposure to gadgets at an early age makes the learning curve for AR among children even faster than usual. Let us take a look into how education benefits from the use of AR. Interacting with the real-life environment by using a gadget is different and can be very enjoyable. Including more fun aspects to classroom education can bring out the most from teamwork, participation and creativity among all the students in the classroom. AR, in particular, can enable students to interact with knowledge and authenticity. Read more about what Finnish educators had to say about using Grib’s AR app in their classrooms. Complex concepts in physics and chemistry can be broken down for better understanding by using quick and easy visualization with AR. It is much easier to understand how an organ functions by seeing a 3D model in Augmented Reality as compared to learning about it from an illustration in a textbook. By helping students learn concepts with better visualization, AR helps in creating a more complete learning experience. The immersive technology in AR enables the user to be a participant in the program. The experience of being able to interact with the real-life environment using a gadget has been demonstrated in building mental and physical dexterity. 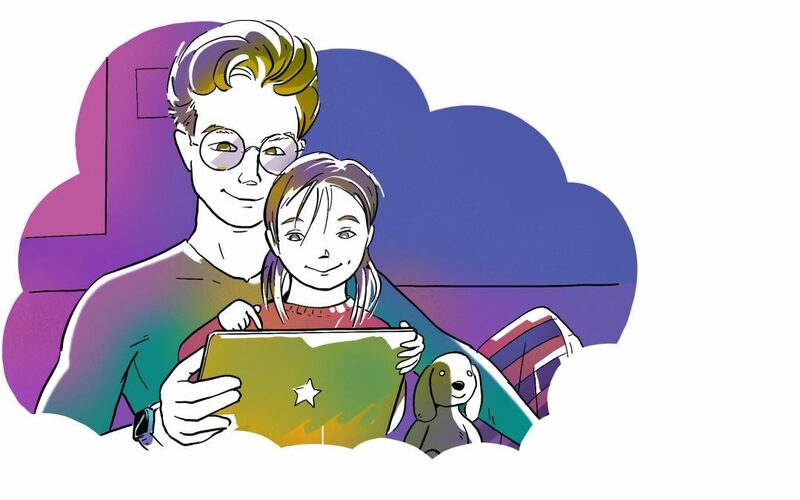 When an AR app includes positive reinforcements for encouraging young children to learn new concepts, it will lead to them to become faster in building new knowledge and more motivated. Augmented reality has definite benefits in the field of education, and schools around the world are exploring ways to use this technology in shaping the course of education.